TheSauceLA is known for having a lot of sales…but this is about as good as they get. 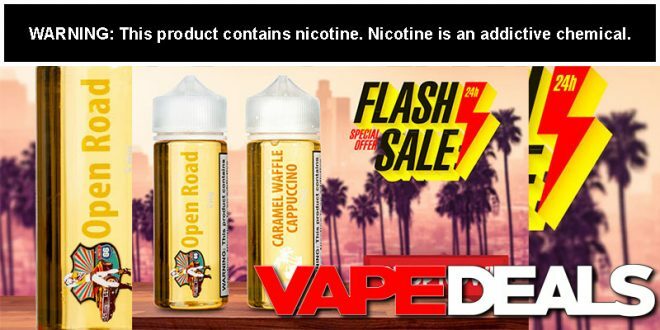 They’re now offering a massive 80% discount on e-liquid! That’s right, just apply coupon code “MegaSale” at checkout and you’ll get 80% off the following lines: The Sauce, Pier, Route 66, and Awesometown. We’re talking $2 per 30mL, $4 per 60mL, and $6 per 120mL. Seriously, those are some ridiculously low prices! Stop by and stock up while you can. The coupon code officially expires Thursday (4/18) at 11:59pm PST. TheSauceLA offers FREE shipping when you spend $39.99 or more (US only). 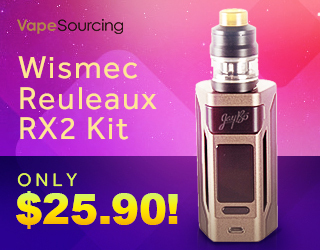 **Discount does not apply to LA Salt, BOGO deals, sample packs, or Vaporham Lincoln.